Are You Seeking an Expungement in New Jersey? “Expungement” refers to a process where you can remove certain information pertaining to arrests, criminal charges, and the outcome of one or more cases from your criminal record. Expunging a criminal record means that you no longer have to report it on job applications, home rental applications, and more. 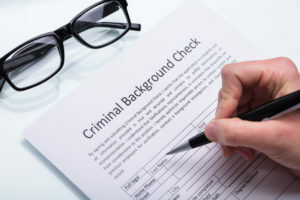 An expungement in New Jersey will also clear your criminal record so the specific things you have expunged do not appear on a background check. This expungement process is extremely valuable for many people. Thankfully, New Jersey expanded eligibility requirements for expunging a criminal record in late 2017. That law, which went into effect in the fall of 2018, was designed to help those who struggle to find employment after a conviction. Some of the most important changes and general provisions included in New Jersey’s new expungement law are outlined in greater detail below. Instead of having to wait ten years to expunge a felony record, the waiting period has now been reduced to just 6 years. However, some individuals may still be able to use the “early pathway” and expunge their records after 5 years through application. There is still a shorter, 5-year period for misdemeanor or disorderly persons offenses. Individuals can also apply for early expungement after 3 years for these convictions. The new law allows 4 disorderly convictions to be expunged, which is an increase from the previous 3. This increase only applies to those who have not been convicted a felony. However, the number has increased for those who have been convicted of indictable offenses as well, specifically from 2 to 3. Previously, those who had their felony charge dismissed through “Pre-Trial Intervention,” or PTI were not able to expunge any prior or subsequent disorderly persons or felony charges. The new law completely takes away this restriction. In some cases, defendants are ordered to pay restitution as part of their sentence. Previously, records could not be expunged when an individual had not yet paid their restitution in full. Under the new expungement law, if the defendant meets the 6-year time frame but has not yet paid their fines or completed their restitution payments, he or she can still have their record expunged. However, the court must approve the continued collection of those fines or penalties. Alternatively, the court can also enter a civil judgment for the amount outstanding, depending on the specific case. Under the prior law, only one felony conviction could be expunged. However, the new law permits expungement of more than one felony if the conviction meets specific requirements. Specifically, the felonies should be included in a single judgment of conviction, or they were closely related and part of a sequence of events that took place within a short period of time. This law change is sometimes referred to as “crime spree” expungement. As you can see, the new expungement law changes significantly increase the number of people that are eligible to expunge their criminal records in New Jersey. If you are wondering if you now qualify for an expungement or want help with the expungement process, our experienced Morris County expungement lawyers are here for you. Give us a call today at (908) 336-5008 to learn more about clearing your criminal record in New Jersey and determine if you meet the requirements to get this process started. We have local offices on Morristown and assist clients with expungements throughout Morris County, including in Morris Twp, Dover, Rockaway, Denville, Roxbury, Jefferson, and Hanover. You can also contact us online to request a free consultation. « What is the Degree of a Drug Charge in New Jersey?